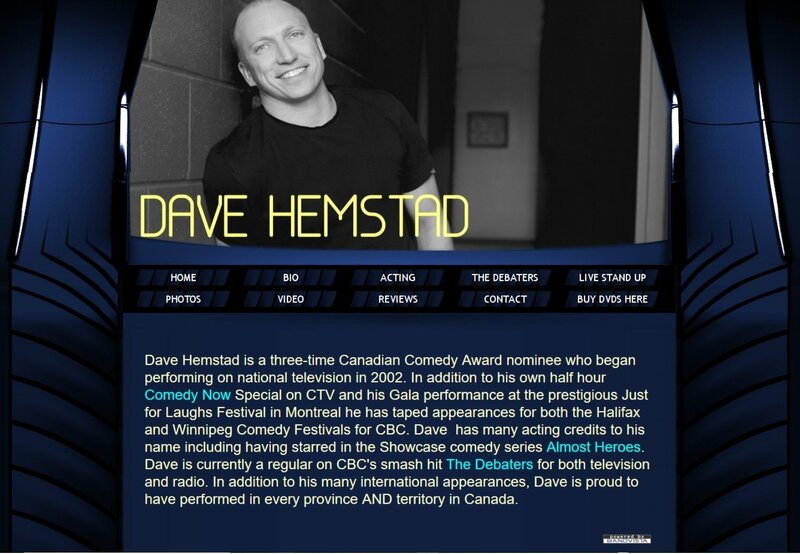 Responsive WordPress website redesign for popular Canadian comedian and entertainer, Dave Hemstad. As a stand-up comedian and entertainer for nearly 20 years there was lots of good Dave Hemstad content out there on the internet. Moving to a WordPress website gave us the opportunity to create an archive of all those years of video clips, audio clips and photos of Dave and his life in entertainment. Built on a proprietary website builder provided by a hosting company the old site was not mobile responsive and used a template with each page having the same layout structure.